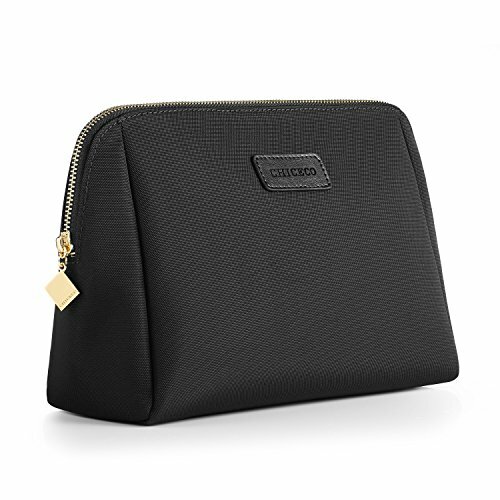 Chiceco wishes to give you a fresh, sophisticated way of life them and present you modern, elegant items. •; Superior Nylon material: Environmentally friendly, water resistant, wear-resistant, crease-proof and simple to clean in addition to very appealing. • Polyester cotton lining: colourfast and care need to feel very comfy. • Storage with a large capability for secrets, sunglasses, calculator, file types, lipstick and makeup. •; Internal pocket with zip for keeping delicate products such as jewellery, credit card and so on. • - Fits completely to other purse or perfect for travelling, for dates and events, weekends away etc. •; Gold Zips with very long service life. •, need to be a hand bag unclean, please a moist cloth with a little soap and water and you need to wipe off quickly. After that, please let dry in the shade. • * * * - If you not use the bag for longer time periods, makes clean up you please in a plastic bag and keep it in a dry place. 1 ALL DIMENSIONS ARE MEASURED BY HAND. Some variation of approximately 1 inch (2.54 cm) are possible. 2) a variety of camera angle and lighting, the images and colour appear different.